If you follow me on Twitter, you've probably figured out by this point that I'm a big fan of the indie games scene. There's no other place in the gaming space that you can find the eclectic variety of genre-bending titles that are too risky for AAA developers to get approved from the suits that make these decisions. Realistically, it's a smart business move. Most indie titles are experimental and/or niche, and spending millions of dollars developing and marketing a game with a relatively small audience isn't really a great plan if your goal is to make a truckload of cash. That's perhaps what I love most about indie devs. Many of them aren't in it for the business prospects, but because they have a vision they're passionate about, which they want to share with the world. We at The Escapist want to be a part of that. We want to see and experience these creations, and, when something really impresses us, we want to help the devs share their creation with the world. 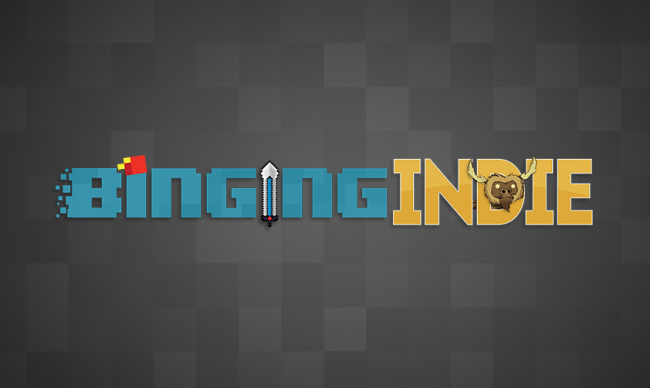 This new series, Binging Indie, will be where we can do this. That brings me to you. If you're reading this, I assume you've got some general interest in the indie scene, and I would appreciate your assistance. The sheer number of indie games out there is daunting, and there are only a few of us here at The Escapist, so there's no way we'll be able to play them all. If you've been playing an indie title that we may not have heard of, but has impressed you, we'd love to hear about it! Likewise, if you're an indie dev and you have a playable build available, we're eager to see what you've been working on! Just send along the game info, and a brief description of what we should expect to [email protected] so we can check it out! I've been enjoying a lot of local co-op games recently, but I can't get into too much detail right this second, so instead of a full write-up, consider this a teaser of what's to come. 4-player Local Co-op dungeon crawler, where one player is the hero, and the others (or AI, if you're lacking bodies) play the monsters. When a monster kills the hero, they turn into the hero themselves, and the quest to defeat the dungeon's boss continues. Curses 'n Chaos - Status: Live and As Fun as It Is Brutal. CnC only supports two players, but is an exceptionally fun experience, despite its absolutely devastating difficulty. It's short on instruction, but discovery is half the fun sometimes. Fight through 10 waves of monsters, then take down the boss to progress. It sounds hard, and it's not as easy as it sounds.